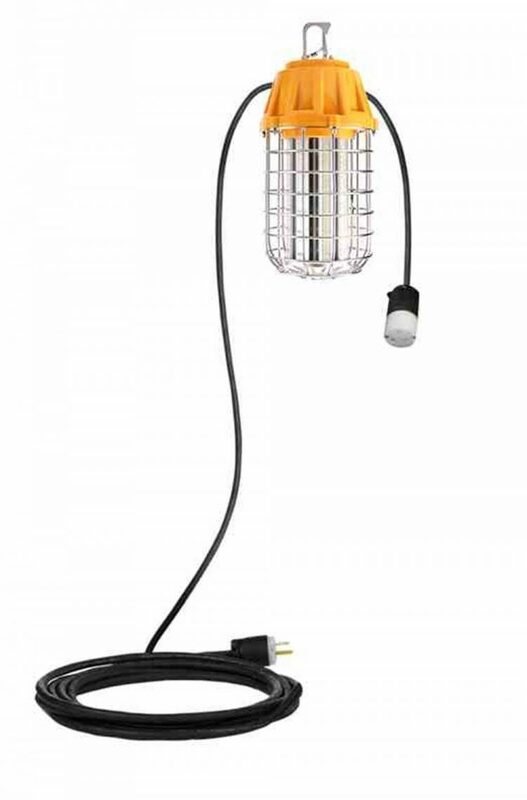 Industrial lighting leader Larson Electronics LLC released a new caged style LED light for temporary lighting that can be daisy chained for flexible illumination options, and is IP65 waterproof and dustproof rated. 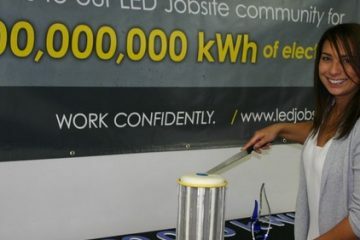 This LED work area light is a direct replacement for 150 watt metal halide and pressure sodium units, and ideal for inspection activities and temporary illumination. The Larson Electronics WAL-TJL-150W-LED-CPR-E2E-14.3-50.2C is a 60 watt temporary job site light fixture that directly replaces 150 watt metal halide and high-pressure sodium lamps. 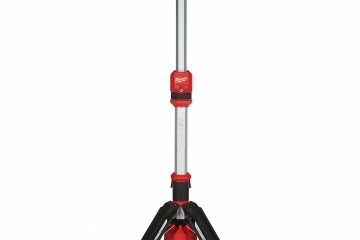 This 60 watt lamp features 6000V surge protection and a durable stainless-steel cage and hook that has daisy-chaining capabilities. This worksite lamp produces a total of 7,200 lumens of quality illumination, offered in color temperatures ranging from 2700-6500K, and has a beam angle of 270º. This temporary LED light is UL cUL DLC4.0 listed and IP65 rated waterproof and dust proof. This unit operates on standard 100-277VAC @ 50-60Hz, for easy power source connection. The LED is enclosed in a bird cage style guard with a hook, both constructed of durable stainless steel. This unit can be daisy chained together with additional units and has a 10-foot input cord and 1-foot output cord. 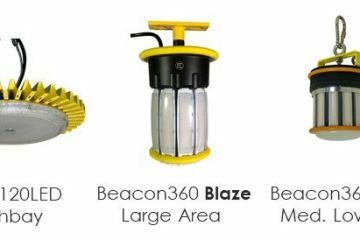 The housing of the lamp is constructed of durable, though light weight stainless steel with an IP65 rating that protects the bulb from moisture, dust and other common contaminants found at construction sites. The stainless steel enclosure is resistant to corrosion and will not fade or distort. The enclosure is highly resistant to impact and environmental factors. The stainless steel hook allows operators to hang the lamp securely in overhead locations of their choice, for great flood illumination.